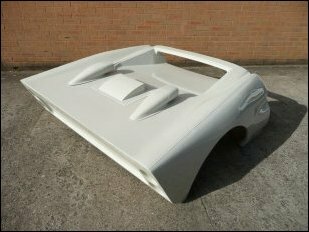 All of the above items can be used to build an authentic looking replica of the famous Le Mans winning cars from 1966. 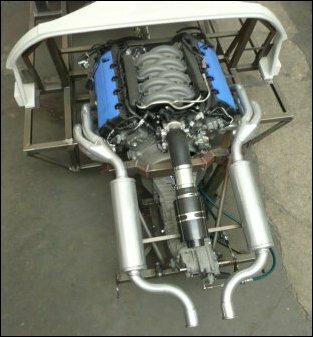 Tornado have also been busy with an update which brings the power plant for their replica bang up to date with the use of the 5.0 litre Ford Coyote engine from the current day Ford Mustang. As you can imagine with an engine upgrade brings other upgrades and the conversion to the Coyote engine is no exception. Tornado have worked out a new bellhousing to mate the Coyote engine to the Renault Transaxle and also a new exhaust system, and it looks just awesome. 2011 spec Ford 5.0l Coyote V8 with custom bellhousing and exhaust system. Lovely.